– We may have balanced the East Coast budget this morning. And by balanced, it’s not that we have enough money, (not by a LONG SHOT), but that we’ve figured out how to make our known expenses match our known money. Oh, the corners we have cut. And the things we are going to have to figure out later. And the things that we are just not going to track. And our belief in the kindness of strangers. But, well, we think we can get the biscuits to work out to the gravy. And that is momentous. – I’ve rented my first truck for the trip! I pick it up next Saturday! – It also seems like Tess and I will go on a truck from the 5th stop back to SF! – SOMETHING TO NOTE: Uhaul’s trucks include a 2 foot “Grandma’s Attic”. Which is a 2 foot crawlspace over the cab. So, sure, it may have 17′ across the top, the floor is a lot less. Something to look at when you compare trucks. I know have two places that have welcomed us to stay with them, good folks who I know from doing art who have moved into the same hood. We may have another place to stay in that hood. And, I am told there may be camping as well! Exciting! And, some of the Second Stop folks are talking about coming to our Third Stop! One of the reasons I flew out is pickles. My soup needs several types of pickles that I have to make by hand. The take about a week in the fridge to make. So, today we needed to start. My Mom and Dad helped. 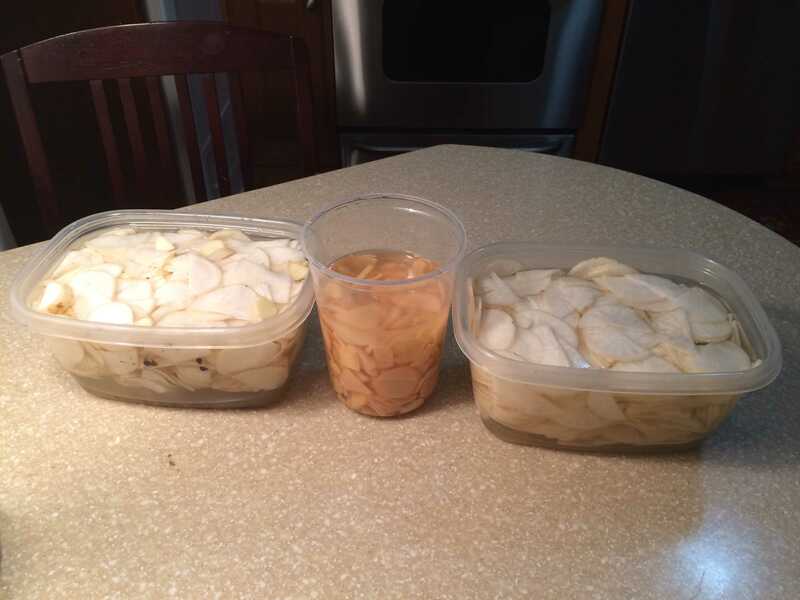 Mom sliced the garlic, Dad peeled and chopped the ginger, I cut the daikon. Man, those are fiercely good foods! – Thanks Paul and Emily for coming down to have subs with the rest of us! It was fun to ply you with corny jokes, and then roping you in to play Space Team! ASTEROID! SHAKE!!! – I might have 4 people coming in just to meet up with us at the THIRD STOP. (Some from SF, some from Detroit some from SF and Detroit.) This is going to be exciting! And adventurous. And, if we are lucky, fun!